Most trash cabinets, ours included, can get a bit smelly. Commercial air fresheners mask the odor, but I wanted to remove the smell using natural ingredients. 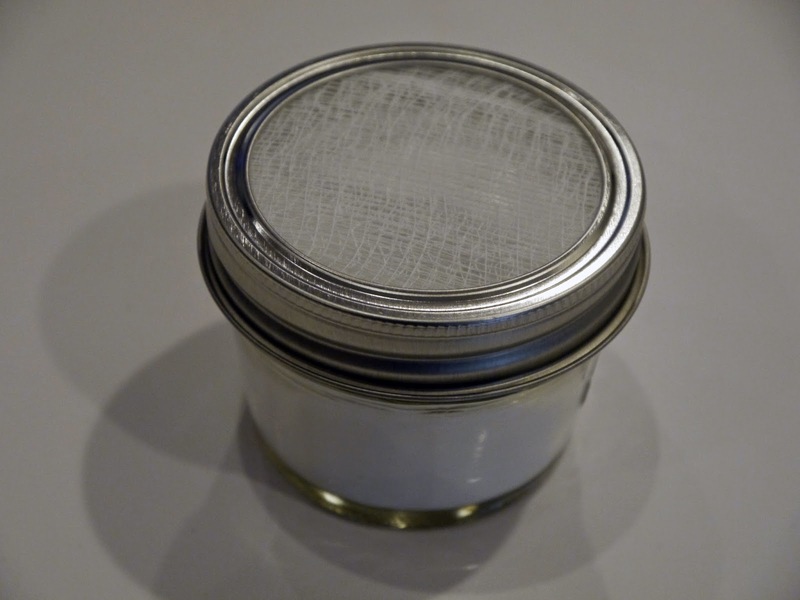 After doing some research, I found this solution: A combination of baking soda and essential oil will remove the odors and provide a nice light scent. 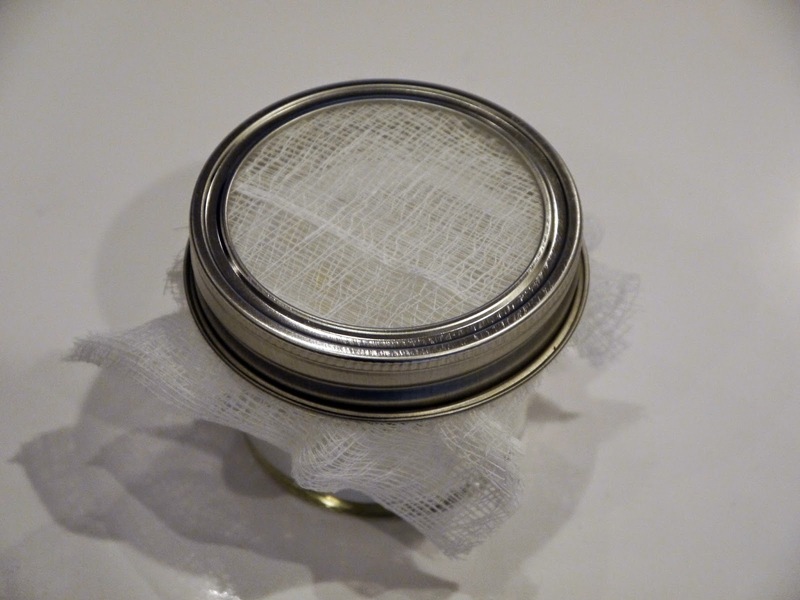 Just to be fancy, I placed the combination in jam jars with cheesecloth used in place of the top lid. 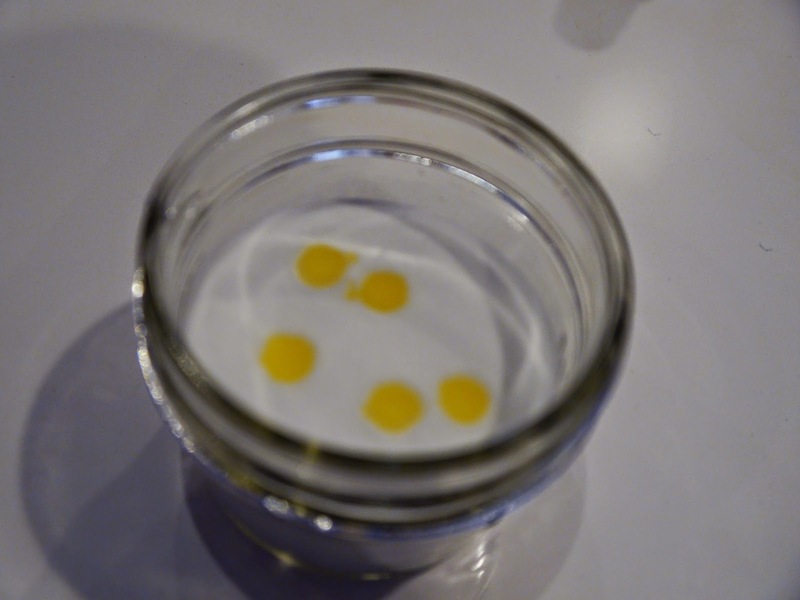 If you don't have the time or inclination to use a jam jar, placing the baking soda/essential oil combination in a bowl will work as well. 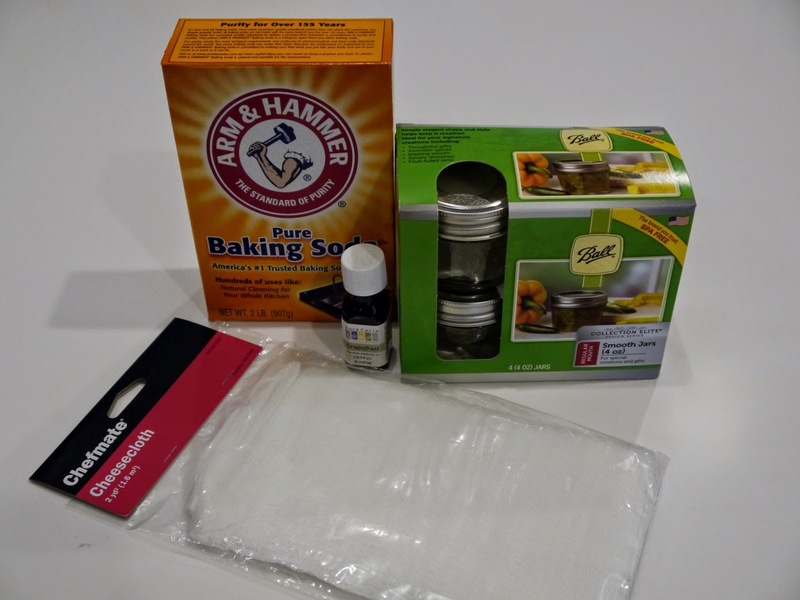 Replace the baking soda/oil combination monthly. When I first met Kevin, he emphatically stated he disliked main courses that contain both meat and fruit. Since I’m the cook in our home, I’ve always avoided preparing dishes with this combination, and after 27 years of marriage, the combination didn’t sound appealing to me. 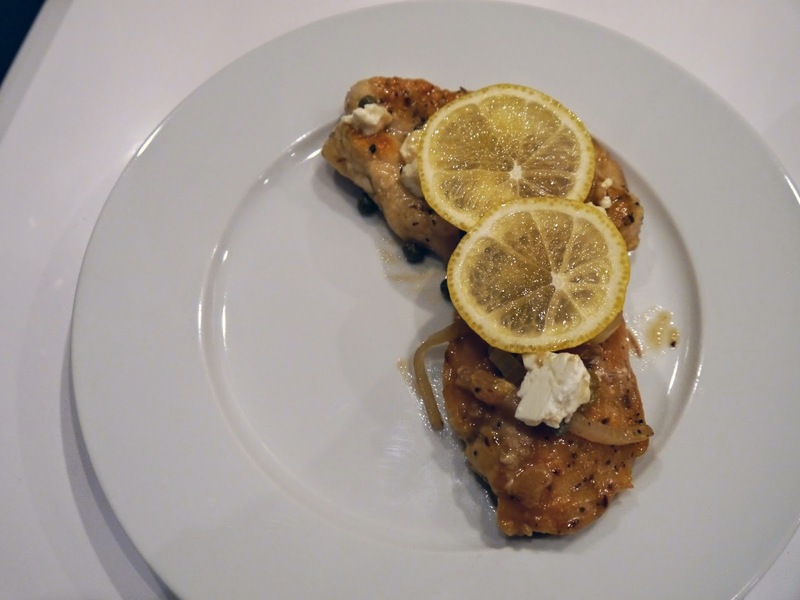 This Greek Chicken with Capers, Raisins and Feta Sauce completely changed Kevin’s and my outlook. It’s a fabulous main course I learned to prepare in a Greek cooking class (click here to view a previous post about this class) taught by Chef Diane Manteca. 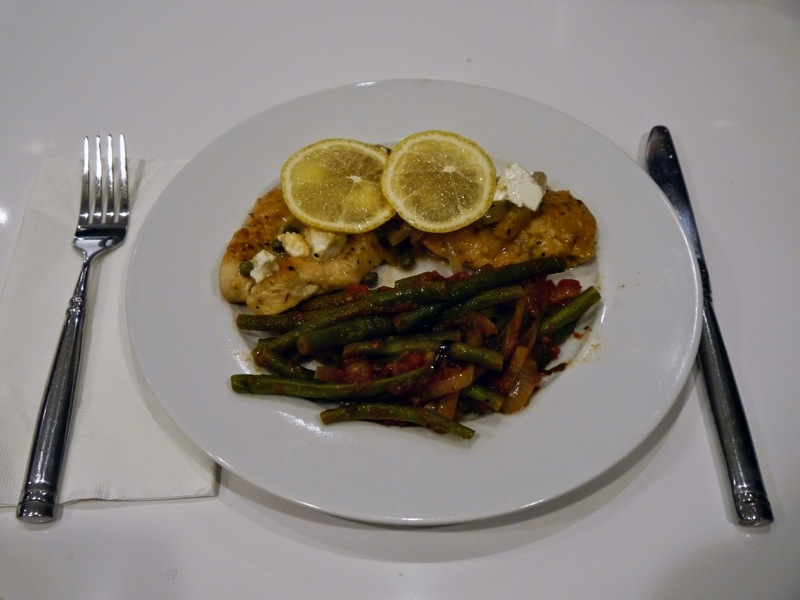 This chicken, along with Greek String Beans, is a perfect weeknight meal; both dishes easy to prepare, healthy and tasty. 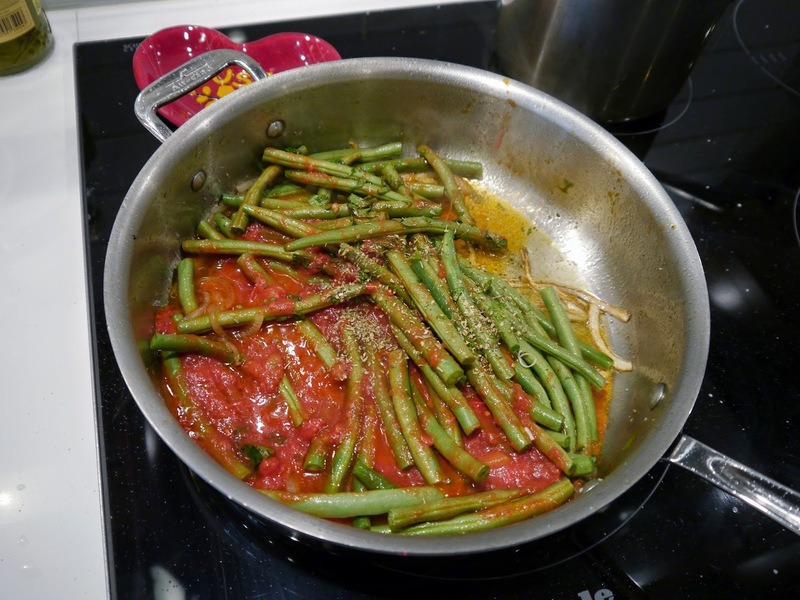 Chef Diane Manteca has kindly allowed me to share here recipes with you. Bon Appétit! 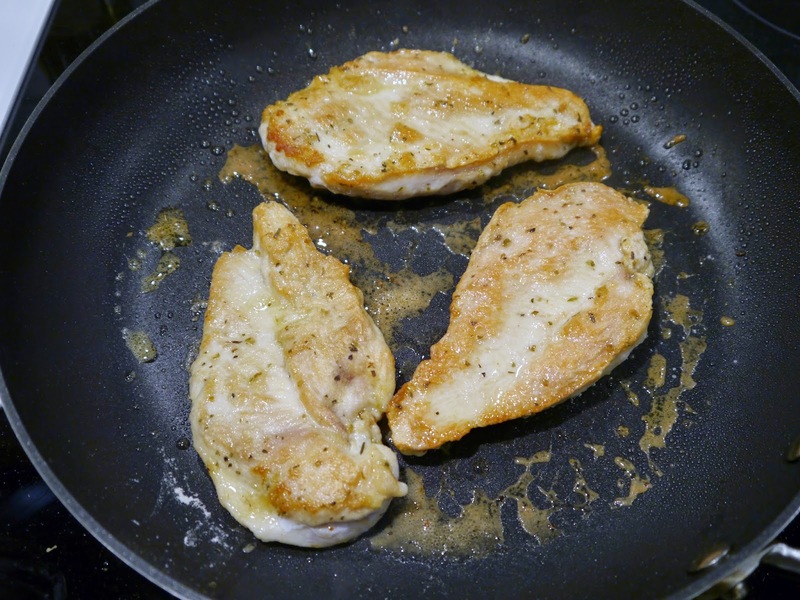 Slice the chicken breasts in half, so they are about 1/2” thick. Combine the flour and oregano in a shallow dish. Dredge the chicken in the flour mixture. Heat the olive oil in a large skillet on medium heat. Add the chicken and cook for 5 minutes on each side, until nicely browned on each side. Remove the chicken from the pan and set aside. 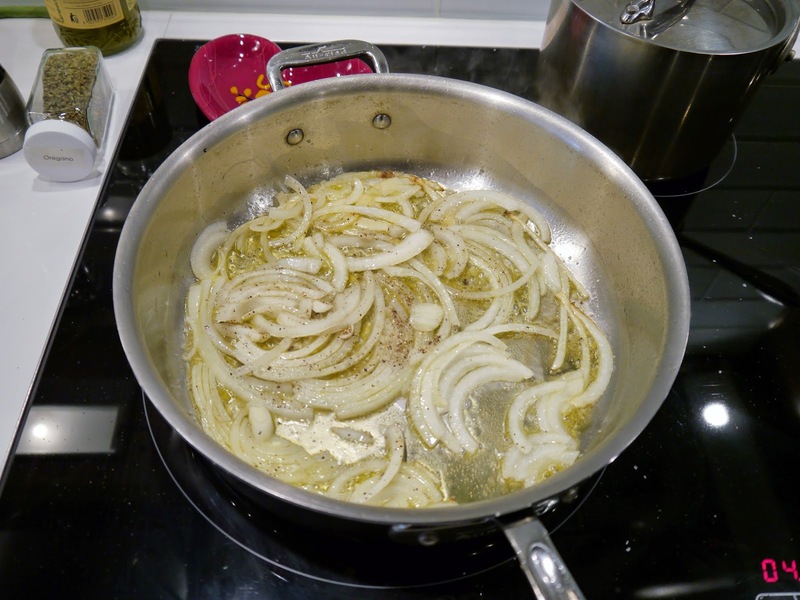 In the same pan, add the onion and sauté for 2 minutes. Add the garlic and cook another minute. Stir in the broth, raisins and lemon juice, cooking for 3 minutes, scraping the pan to loosen the browned bits. Return the chicken to the pan. Cover the pan, reduce the heat and simmer for about 5 minutes or until the chicken is cooked through. Remove chicken from the pan and plate. Add the capers and feta cheese to the pan, whisking but not cooking until just heated through. 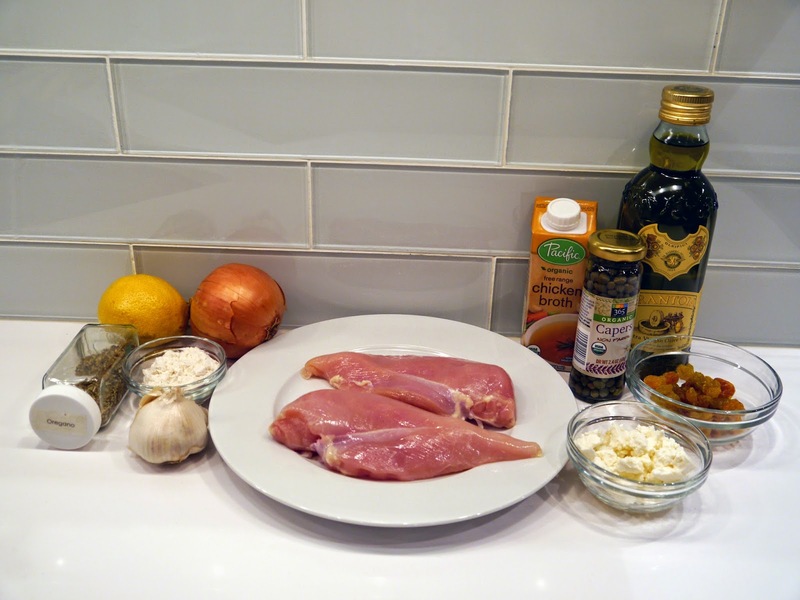 Top each chicken piece with the feta/caper mixture and a lemon slice. 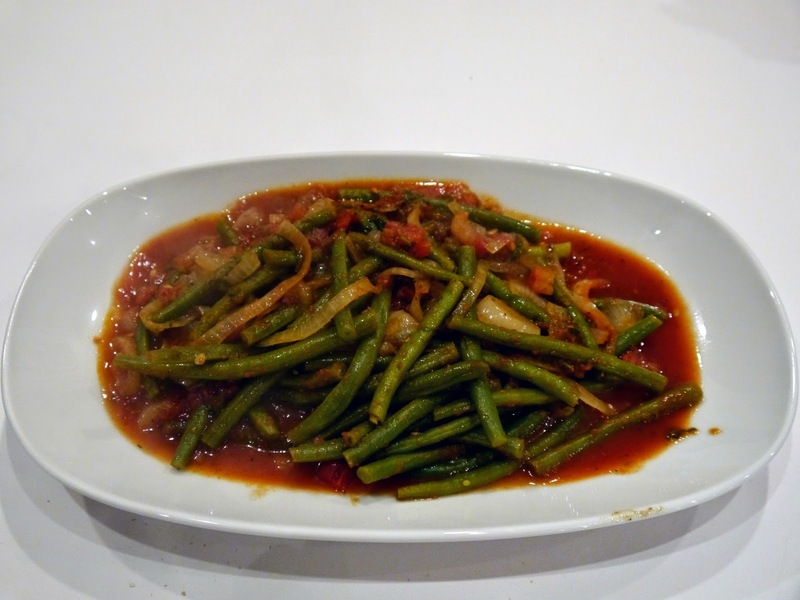 Clean the string beans and snip off end that has the stem. 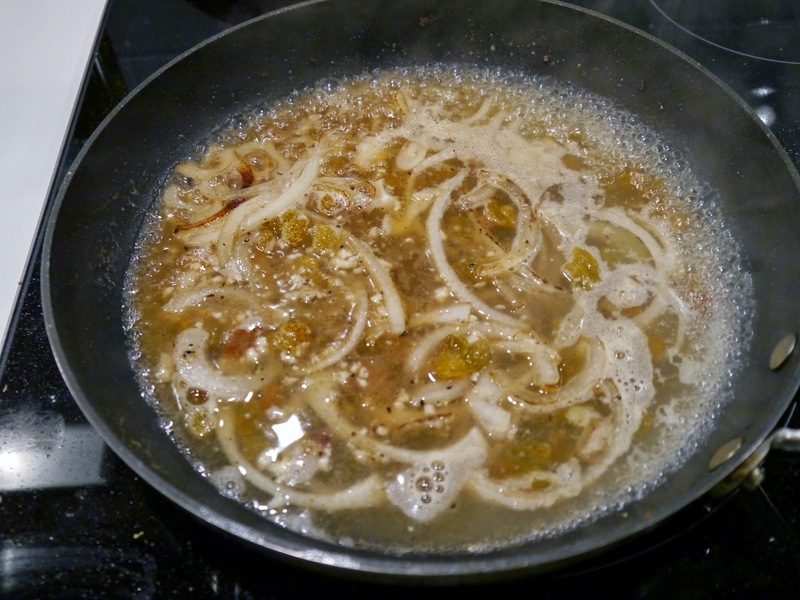 Heat the oil in a sauté pan and cook the onions until soft, tender and golden. Add the garlic, salt (about 1 teaspoon) and pepper (about 1/2 teaspoon). Cook 1 minute. 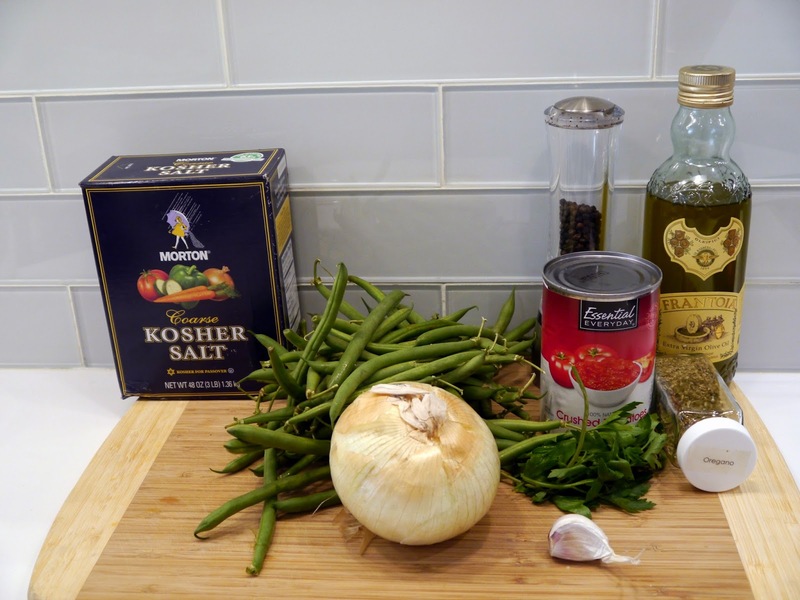 Add the beans, tomatoes, oregano and parsley. Bring to a boil, cover and turn to low heat. Cook for about 30 minutes or until the beans are tender. Add more salt and pepper if needed. There’s now a great way to say “Goodbye” to cracked, dry heels. 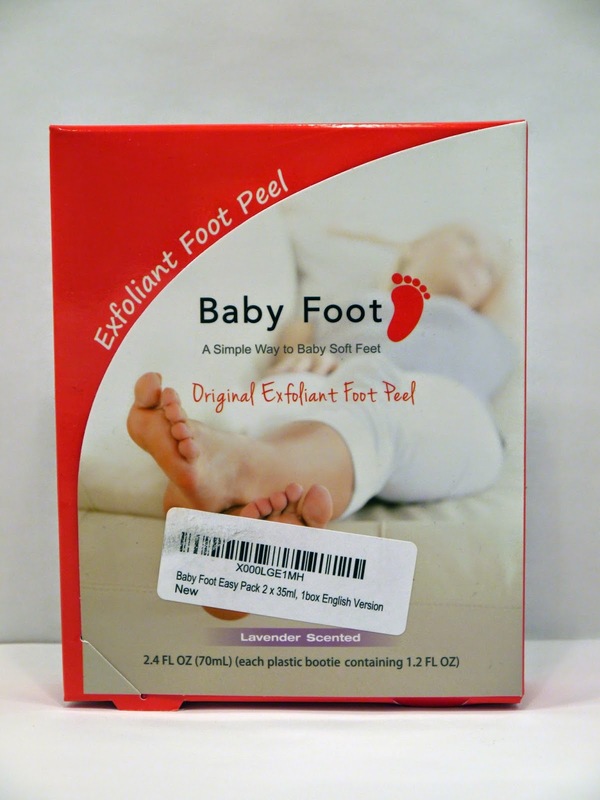 Baby Foot is a Japanese skin sloughing product designed to remove all traces of dry or dead skin. Since the soles of my feet aren’t in good shape (I know, TMI, so I won’t go any farther), I thought I’d give Baby Foot a try. What a miracle product! About a week after using Baby Foot, my feet were soft and supple. They were so nice, I couldn’t believe they were mine! Baby Foot is simple to use-you slip on the product-filled booties, seal them using the tape provided, leave them on for 30 minutes and then wash the product off. After 3-5 days, your feet will peel (a lot), and then you will have baby-soft skin. Baby Foot can be purchased here. For the past few years, I haven’t given Kevin and Sean a Christmas list. They know I like it when they go shopping and pick out gifts on their own. I was thrilled with my gifts and was especially happy to receive this dress-it’s great for my body type, not too racy or conservative, has a fun print, can be dressed up or work casually and can be accessorized to be worn year-round. In short, it’s perfect, and I especially love that they chose it for me! Shown here with high-heeled booties, tights, a black clutch and a black cashmere sweater, it’s just right for a winter’s night out! Though I was born, raised and lived in Southern California for most of my life, I haven’t traveled to Mexico much-just a few trips to Tijuana and a cruise that stopped in Ensenada. 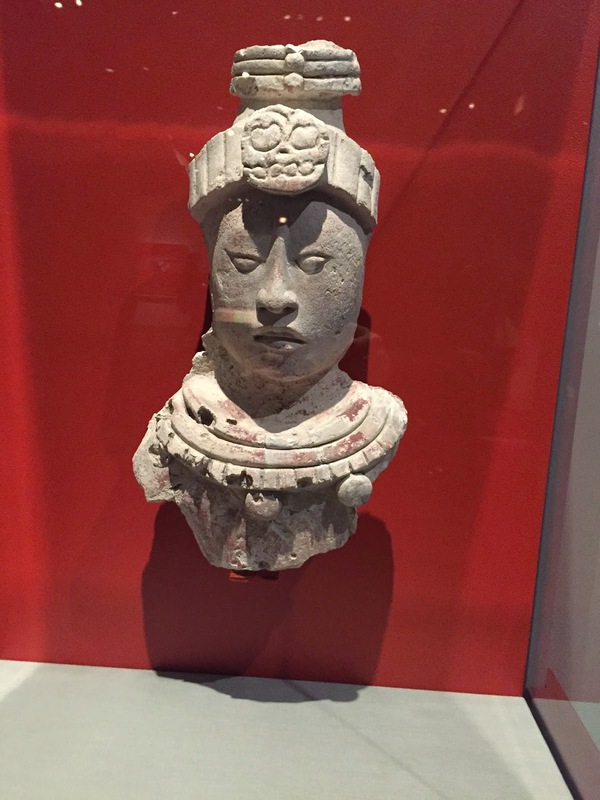 As a result, I don’t know much about the Mayan culture. 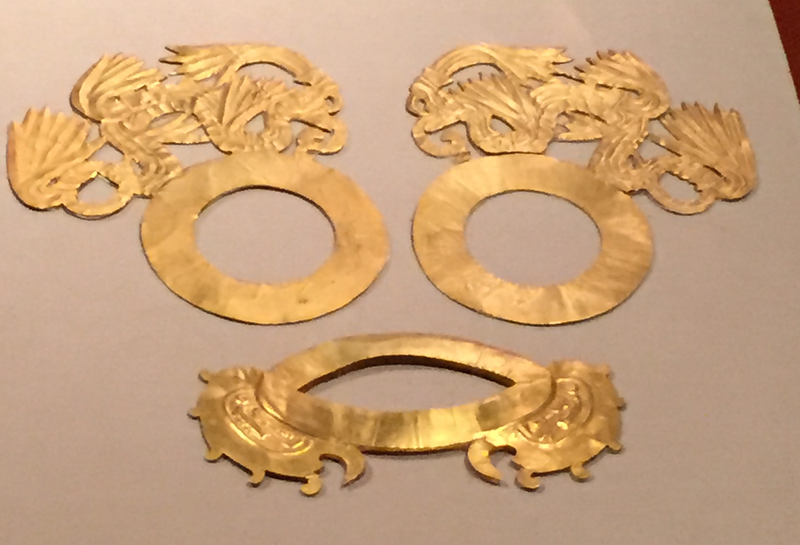 When I saw there was a Mayan Exhibit at the Museum of Science in Boston, Massachusetts (click here to visit their website), I thought it would be fun to spend an afternoon learning about another culture. Though the exhibit is small, it’s absolutely fascinating. 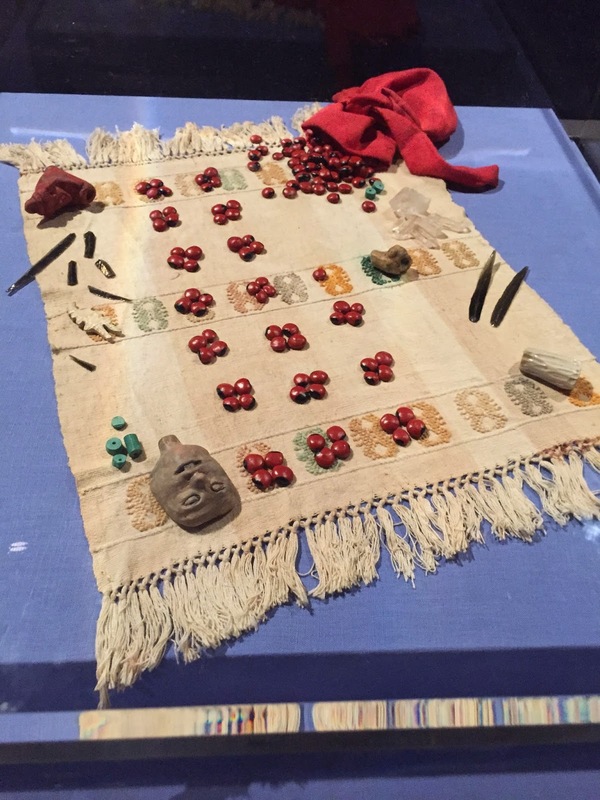 It opens with reproductions of large scale Mayan rock carvings and walls, has displays of everyday items-clothes, pottery, jewelry and even provides information on their customs and rituals. 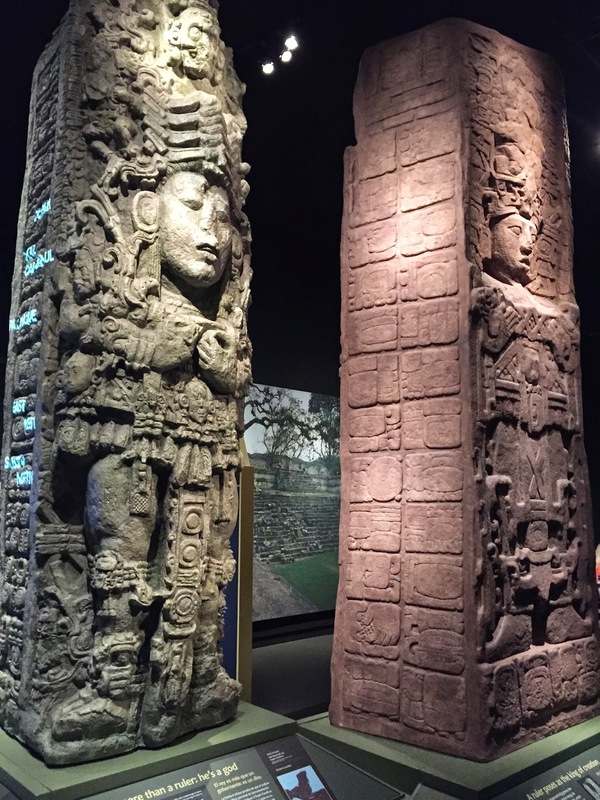 If you haven any interest in the Mayan culture, this is the exhibit for you! Annie is a foster child with a sunny disposition who lives in a foster home headed by evil Miss Hannigan. A chance encounter with billionaire mayoral candidate Will Stacks leads to him becoming Annie's temporary guardian. While Stacks thinks he’s doing Annie a favor and helping her out, she turns out to be his savior. I have to confess that I’ve never seen the original Annie. That said, I loved this contemporary version. Annie is humorous and sweet, and the singing is amazing! 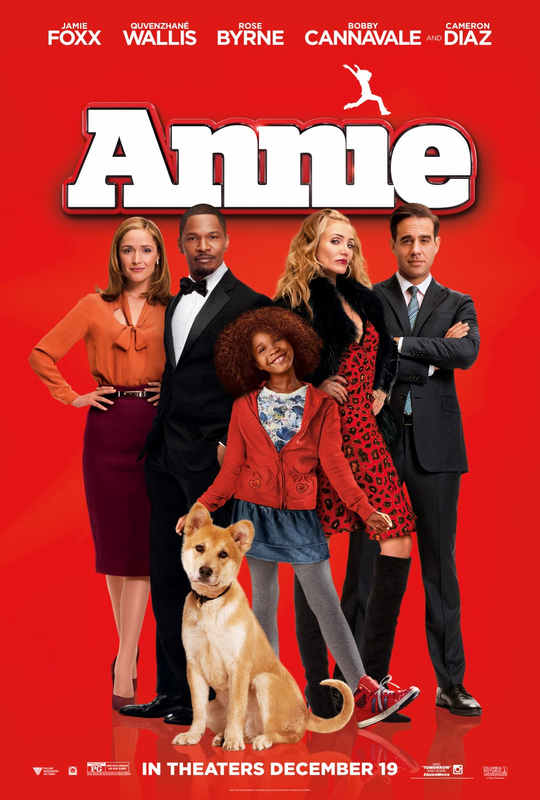 If you’re looking for a feel-good movie, Annie is the one for you! 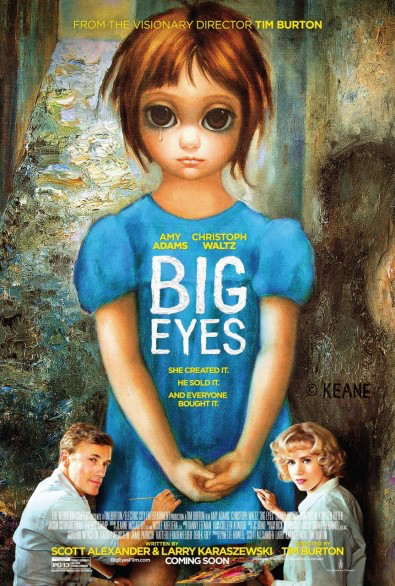 Big Eyes is the story of Margaret Keane, the artist who created the iconic, pop art “big eyes” paintings. Unfortunately, her husband, Walter, a marketing genius and sociopath took credit as the artist. Will Margaret prevail and eventually receive her due credit? Seeing Big Eyes was a wonderful experience! Golden Globe winner Amy Adams and Golden Globe nominee Christoph Waltz give stunning performances as Margaret and Walter Keane. In addition to being a fascinating story, Big Eyes’s accurate portrayal of 1960’s American mores and values was worth the price of admission! Selma is the true story of the 1965 events leading up to and including the historic civil rights march led by Dr. Martin Luther King, Jr. The purpose of the fifty-four mile walk from Selma to Montgomery, Alabama was to secure voting rights for African American citizens and led to passage of the Voting Rights Act. 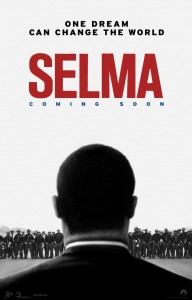 If you see one film this season, make sure it’s Selma. While at times it was painful to see the racism and hatred, the marchers’ courage and determination showcased the best of humanity. Mild-mannered Doug Peterson’s life is thrown into a tailspin when Connie, his beautiful, artsy wife of almost twenty-five years announces she wants a divorce. Determined to win her back and to connect with their moody son, Doug takes the family on a month-long European art tour. Will Doug be able to change his life and reestablish these broken ties or is he destined to be alone? 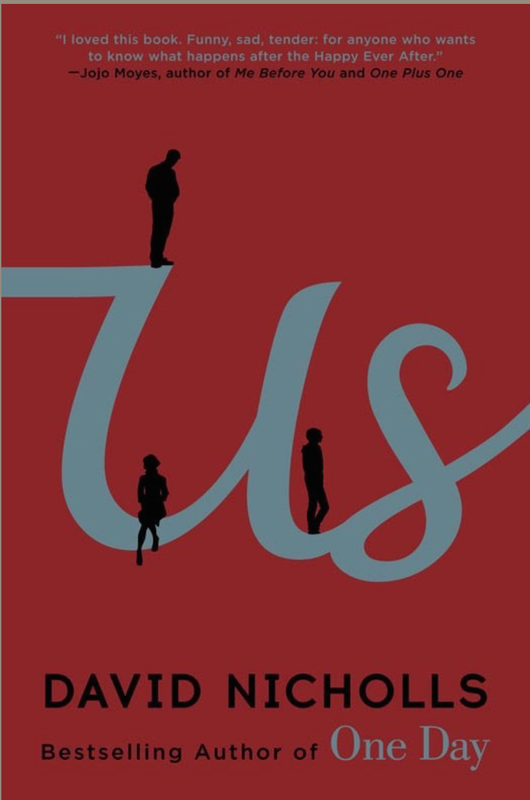 Us is beautifully written and examines love, relationships, middle age, and regrets. With its juxtaposition of art masterpieces and flawed characters with broken relationships, Us is the right combination of beauty and imperfection. I changed the title of this section from Décor to Home because sometimes my posts are more about home-keeping than about the décor of one’s home. Before we moved to Boston, it never occurred to me to switch out the sofa pillows and throw as the seasons change. Because the weather here is so extreme, cotton pillows and a cotton throw just aren’t warm and cozy enough for the winter. After a bit of searching, I found these wool and chenille pillow covers and this beautiful cashmere throw to keep us toasty during those cold winter nights. 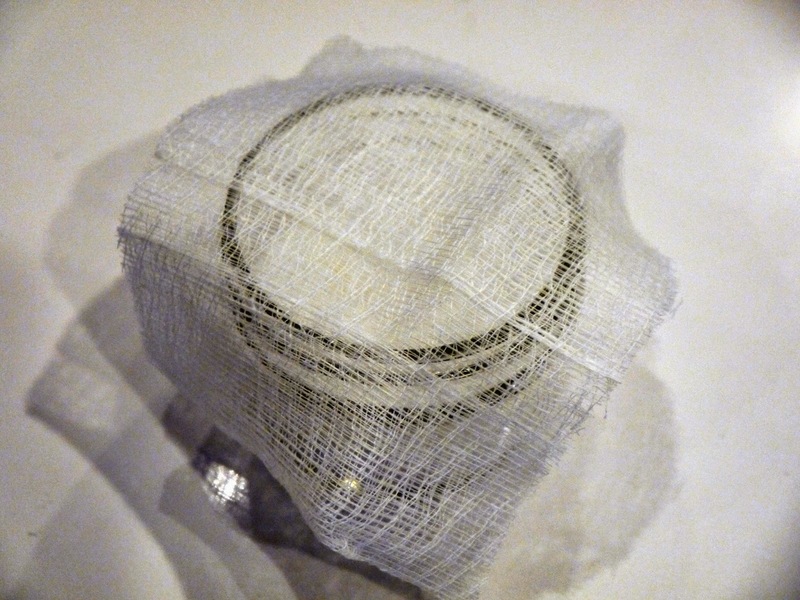 Rillettes is cubed meat cooked and packed in fat. It’s similar to duck confit. Remember there are no “hard rules” about pairing wine, cheese, charcuterie and condiments. Pair whatever you like! Confiture de Cerise (Cherry Jam)-this was the best jam I've ever eaten! We added a few olives to the plate, served baguette on the side and had a wonderful meal! You may have noticed that I changed the title of this section from “Fashion” to “Style.” When I really thought about it, I realized I’m not always into the latest fashions, instead wearing what I like and what flatters my body type. However, I try to wear what is current and to dress with style and élan. I can’t believe I’m writing this, but December was pretty mild in Boston, or at least compared to last year. Now that it’s January, though, it’s sweater weather. And even though there isn’t snow on the ground, when the weather is in the 20’s and 30’s, it’s pretty chilly! 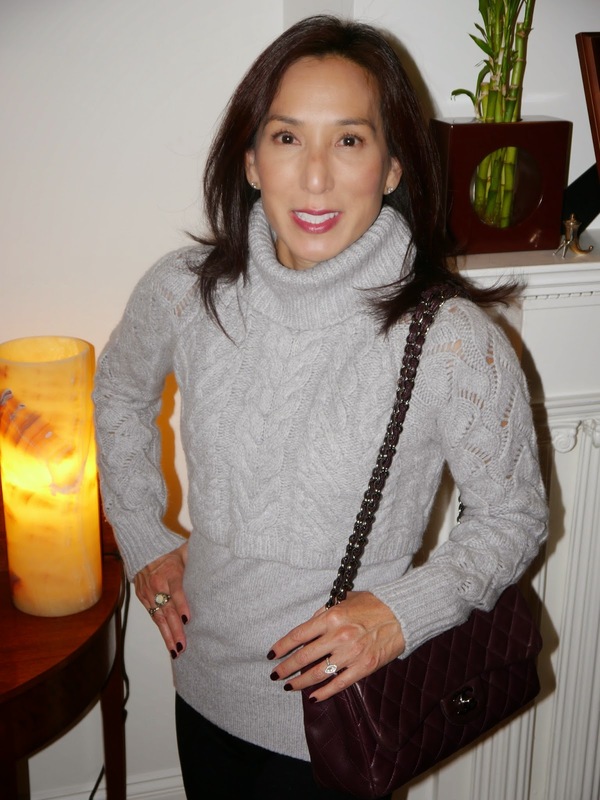 Strangely enough, I found this warm, cozy sweater in Southern California back in September. I just couldn’t bring myself to wear it, though, until recently. What attracted me about this sweater is the layered crop top. It’s a fun way to wear the trend without showing any belly. I paired the sweater with J. Crew pants from last year (though I’ve added a link to a similar pair) and knee-high boots (because it’s too cold to wear ballet flats). 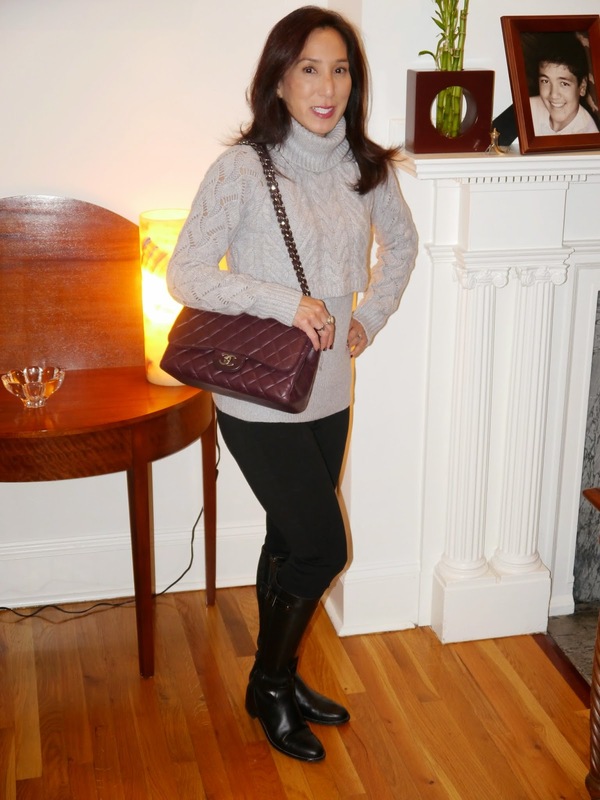 An aubergine handbag was added for a pop of color. 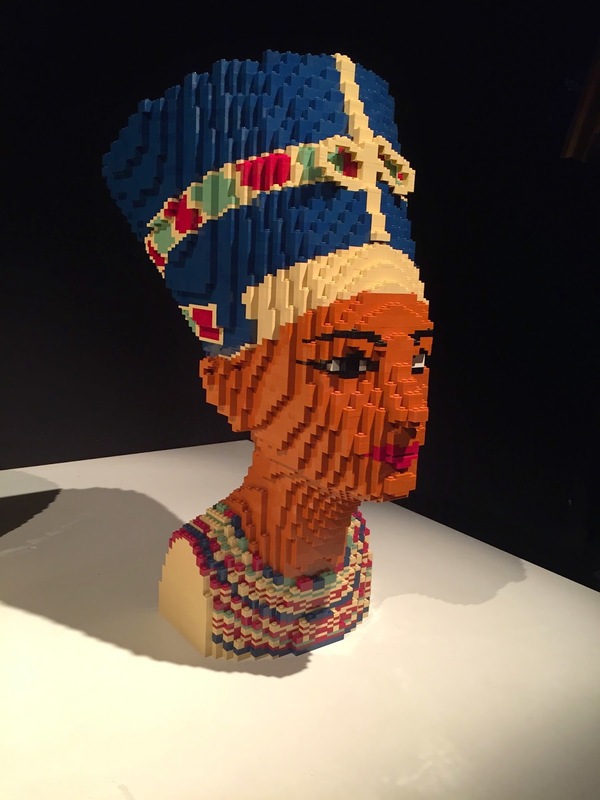 The Art of the Brick is an exhibit by artist Nathan Sawaya who uses Lego as his medium. While it sounds like a display you could see at Legoland or at a Lego Store, The Art of the Brick is so much more. In the exhibit, there are, of course, 3-D Lego sculptures like Michelangelo’s David). Sawaya takes his art another step and recreates famous paintings like Van Gogh’s Starry Night and da Vinci’s Mona Lisa using Lego. The results are amazing. My favorite part of the exhibit was the combination of photography and Lego art. A photographer incorporated Lego sculptures into his photos and both the finished photos and original Lego sculptures were on display. 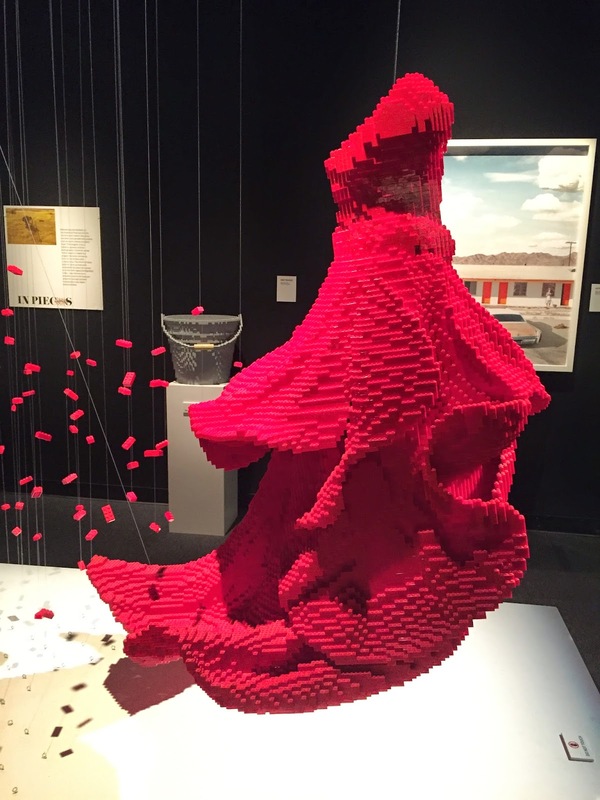 In particular, I loved the red Lego strapless dress blowing in the wind. Though The Art of the Brick is only exhibited through January 11 in Boston, other shows will be held throughout the world. Visit this website for more details. Foxcatcher depicts the relationships between Olympic wrestlers Mark and Dave Schultz and their wealthy benefactor, John du Pont. A dramatization of a true story, Foxcatcher showcases megalomaniac du Pont’s descent into mental illness. Intense and riveting, Foxcatcher was better than I expected, and the performances are amazing. Steve Carell is unrecognizable as John du Pont, and Mark Ruffalo portrays Dave Schultz as such a likeable guy. Even if wrestling doesn’t interest you, I highly recommend seeing Foxcatcher. 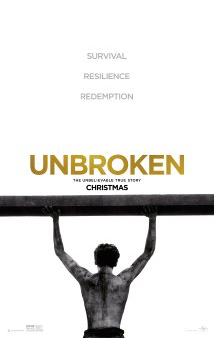 The best film I’ve seen this year, Unbroken is Olympian and World War II hero Louis “Louie” Zamperini’s story. After his plane is shot down, Zamperini and two crewmen survived at sea for 47 days, only to be rescued by the Japanese Navy. Unbroken mainly dramatizes Zamperini’s experience at two Japanese prisoner-of-war camps. Despite it’s harsh reality, Unbroken is inspiring and uplifting. To see what Zamperini experienced and survived shows his superior mental strength, courage and tenacity. Director Angelina Jolie has proven that she is as good at directing as at acting. With its unbelievably talented cast, Into the Woods combines characters and elements from various fairy tales (Red Riding Hood, Jack and the Beanstalk, Rapunzel, and Cinderella) and cleverly creates a new cohesive story. Like in his other musicals, director Rob Marshall obtained great performances from actors and actresses I didn’t know were singers, too (Chris Pine, Emily Blunt and Johnny Depp). 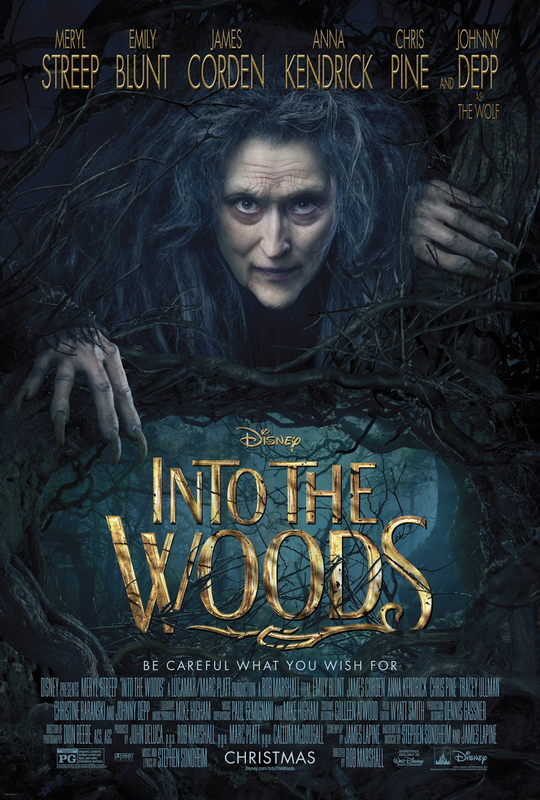 If you enjoy musical theater, you’ll love Into the Woods.